Are you always the one reaching out, making plans and following through? How many times have you excused a friend’s lack of effort within a friendship? 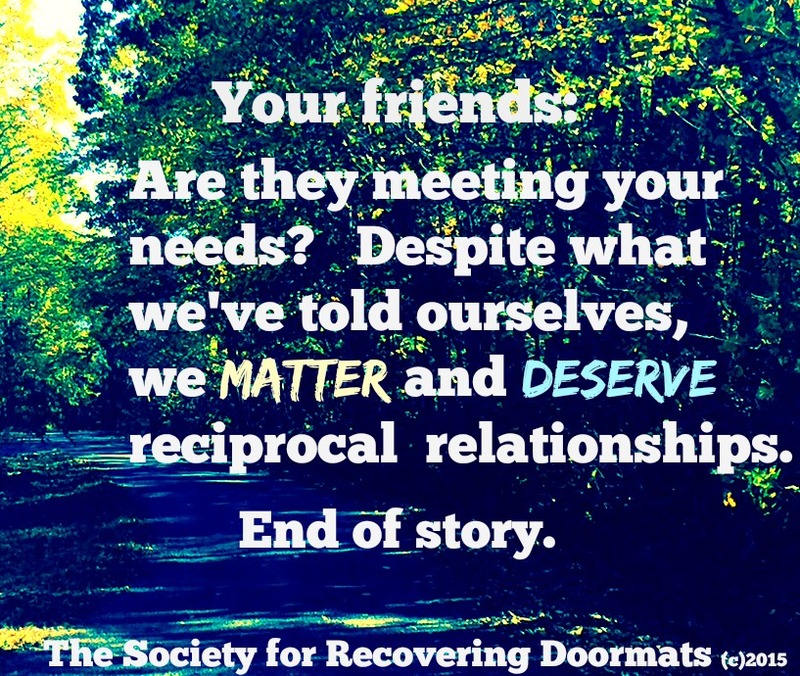 People pleasers need to be mindful of efforts given to friends who don’t reciprocate. Everyone has a lot on their plate and are going through something. Excusing these excuses is a signature trademark of doormat behavior. If you’re feeling ignored and brushed aside by a ‘friend,’ then it’s time to reevaluate the friendship. Time to adjust your level of effort, and emotional involvement. If you’re friendship feels one-sided, as if the person is doing you a favor, then do yourself a favor and never bother them again.